Jayna is about to graduate from high school and embark on an exciting journey in higher education – or so she thinks. In the wee hours of one fateful night she finds herself in the middle of a battle with demons. She assumes it’s a nightmare; a young warrior, Ethan Wells, convinces her otherwise. Jayna discovers that she is an evolved human who can travel between dimensions and is also capable of extinguishing demons. She is a prime candidate for the Astral army. An innocent first-love blossoms between Jayna and Ethan. They become partners in the Astral army against demons and other forms of evil. Ethan is in charge of her training; they spend the next few years as carefree college students by day, demon fighters by night. However, there is a small glitch in their happiness: They are forbidden by the Astral Masters to see each other on Earth. As much as they love one another, they cannot be together in their physical forms. However, the Astral Plane is about to experience a first. My Review: When Jayna finds herself in another dimension in the midst of a battle with demons, she believes it's just a dream, even though Ethan, the young man she saves from certain death, tries to convince her the experience is real. After she meets with the Ascended Masters and returns to her home bearing gifts from the Astral Plane, she must admit what Ethan says is true - she is an Astral traveler who has been chosen to battle demons. As Jayna's feelings for Ethan blossom, she discovers her nighttime travels in the Astral Plane are beginning to affect her "real" life. Can Jayna reconcile her "real" life with the Astral dimension? Can Jayna and Ethan find a way to be together, or will their love be confined to the Astral plane? 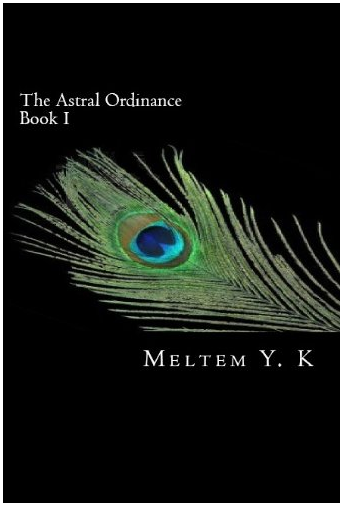 The Astral Ordinance is one of the most unique books I've read in a long time. I was caught up in the emerging romance between Jayna and Ethan, but I was even more captivated by the rich, beautiful world in the Astral dimension. Jayna faces some very serious real world problems while trying to battle demonic forces. With Ethan by her side, she learns to navigate the Astral dimensions while learning to hone her otherwordly skills. In addition to being a good read, this was also a very thought-provoking book. Some of mystical beliefs the author explores within this book are subjects I've never seen addressed in other works of fiction. I was particularly interested because many of these beliefs parallel my own. The author weaves an entertaining tale while opening up an entire world of possibilities for the reader. How much is "real?" How much of the world-building is from the author's vivid imagination? I suppose that's for every reader to determine on his or her own. Whether your looking for pure entertainment or a book that challenges (or affirms) your beliefs in the Other Side, this book is for you. I love the premise of this book. It sounds like a challenging read and I like to be challenged. Cool review.